Join us every other month to learn a different embroidery technique and expand your skills. This is a new club and open to all types of embroidery machines. 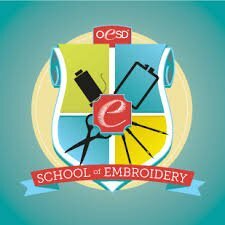 If you would like to get more out of your embroidery machine, refresh your skills, or just have fun learning how to make something, then this is the club for you. Members join for 6 sessions (1 year) meeting every other month beginning in February. This club is prorated based on when you join. Currently our Friday session has openings.